Photo Cascadia consists of seven photographers: Erin Babnik, Sean Bagshaw, David Cobb, Adrian Klein, Kevin McNeal, Chip Phillips and Zack Schnepf. All are from the Cascadia region of the Pacific Northwest and share the common interest of photographing the beauty of the outdoors around the globe but especially the area they call home. 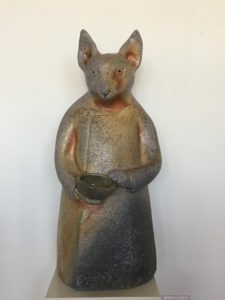 Ceramic artist, Penelope Dews creates animals with character and presence. She produces new wood fired pieces just a few times a year and this will be all new work. Join us for an artist reception during the Ashland First Friday Artwalk on November 3rd, 5-8 p.m. Show runs November 1-18. Gallery hours are Tuesday-Saturday 11-5. For seven years the Photo Cascadia Team has worked together to explore natural beauty in the landscape, promote creative expression through experiences in nature, share images and stories that foster love and respect for the planet and inspire others to become involved in landscape photography. 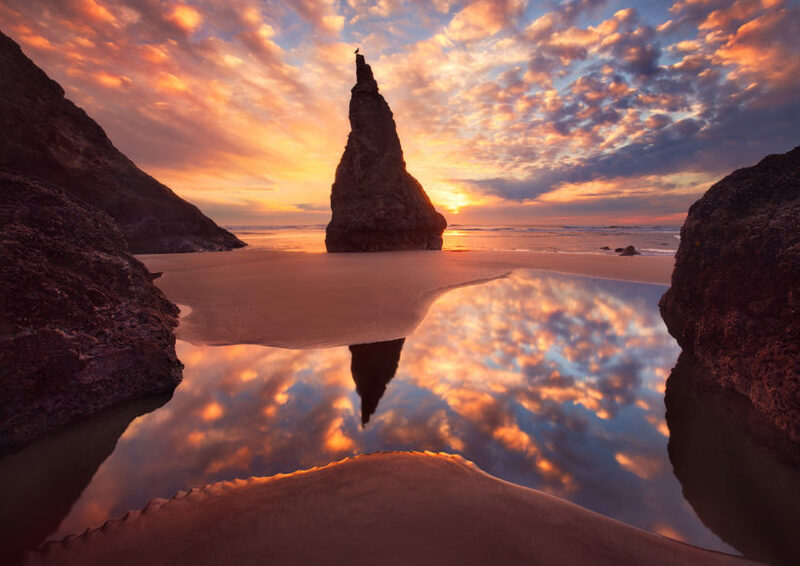 Photo Cascadia is also a resource for outdoor photography enthusiasts of all levels. The group publishes a weekly blog, leads tours and teaches photography workshops around the world. Atmosphere is Photo Cascadia’s first group show. 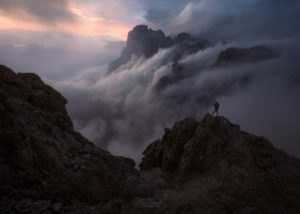 The images have been selected for their qualities of atmosphere, an elusive but critical element of the group’s photography, one that they spend countless hours in search of in the landscape around the world each year. In the literal sense, atmosphere is the envelope of gases surrounding the earth. In a more literary sense atmosphere frequently indicates the heavens, firmament or the ether. More commonly it can allude to the pervading tone or mood of a place, situation, or work of art. Other words that express this meaning of atmosphere are ambiance, feel, character, tenor, aura, quality and flavor. In landscape photography, Atmosphere is often the defining element and key ingredient. Capturing the right atmosphere at the essential moment is often the difference between the ordinary and transcendent. Penelope Dews graduated from the San Francisco Art Institute in 1984 with a BFA in Ceramic Sculpture. She works in her studio in Ashland, OR and several times a year produces work to fire in a large Anagama wood fire kiln in the Umpqua Valley. An ancient technique, the Anagama kiln produces ash and volatile salts which settle on the pieces and create a natural ash glaze. Penelope uses the tone and texture unique to this process to create richly earth toned characters and objects.